That was a cold weekend! One morning when we started chores, it was 20 degrees (F). The next morning it was 18 degrees. We’ve spent the last two days cleaning up from broken waterers. Two mornings in a row we carried out more than 20 extra 3- and 5-gallon waterers to keep the birds going. Turns out that the bell waterers we’ve been using freeze very gracefully — the ice pushes an “O-Ring” through and nothing else breaks. Once you figure it out, it only takes about two minutes to fix (per waterer). Tonight, we set the first batch of eggs from the new breeding pens in an incubator. This egg set is to test the fertility of the roosters and to check the hatchability of the eggs. We set Barred Plymouth Rocks, Delawares, Rhode Island Reds, Easter Eggers, Buff Orpingtons and a few Red Dorkings. In three weeks we’ll know how they’re doing. We finished building our first egg mobile. 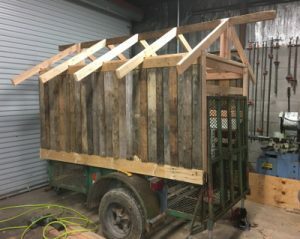 Starting with an old trailer, we converted it into a chicken coop on wheels. After the flooding from all the rain last spring, I moved many of our breeders into the barn. 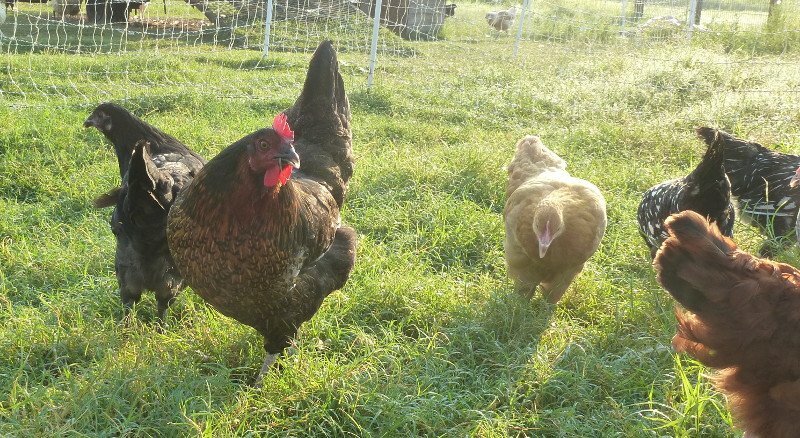 Now having worked with the birds in the barn this summer and fall, I’ve decided the barn is not the ideal environment for them — t’s better to have them out Egg Mobileon pasture. So I’ve been looking for a way to house them outside and still be able to protect them against flooding. I hope to populate the egg mobile this weekend. I’ll surround it with electrified poultry netting and put a flock in it. Now that we’ve finished setting up our breeding pens, we have a few extra breeders left. 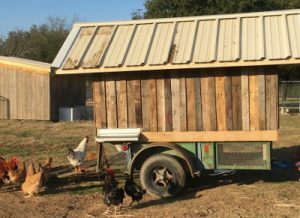 These would make good laying flocks, or they’d be a quick, inexpensive way for someone with an interest in poultry breeding to get started. I have: 6 Rhode Island Red pullets and a rooster; 6 Barred Plymouth Rock pullets and a rooster; and 6 Delaware hens/pullets and a rooster. I also have some Silver Laced Wyandotte pullets and cockerels. For each of these breeds, we’re selling 6 females and 1 male together, as a package, for $250. If you’re interested, please let us know as soon as possible, since the quantity is very limited. In addition, we have some juvenile Guineas available now. They are $20 each, or you can get 8 for $100. We’re also selling some Humidaire incubators and a Robbins incubator and hatcher. Let us know if you are interested, and I’ll send you more details.